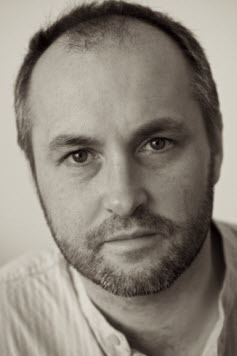 Colum McCann. Photo by Brendan Bourke. The international award winning author Colum McCann is HoCoPoLitSo’s guest for its 35th Annual Irish Evening at 7:30 pm, March 1, 2013 at the Smith Theater, Horowitz Center for Visual and Performing Arts on the campus of Howard Community College. General Admission Tickets are available at http://www.brownpapertickets.com/event/287811 or by sending a check payable and mailed to HoCoPoLitSo, 10901 Little Patuxent Parkway, DH 239, Columbia, MD 21044. Tickets purchased before Feb. 1, 2013 are $30 each, $35 if purchased after Feb. 2. 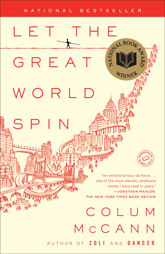 So Many Stories to Be Told: An Evening with Colum McCann will highlight this major voice in today’s literary landscape’s with a discussion of his National Book Award winning novel Let the Great World Spin and his upcoming novel, Transatlantic, due out in late 2013. McCann’s reading will be followed by Narrowbacks, Eileen Korn, Jesse Winch, Terence Winch, Linda Hickman, and Brendan Mulvihill on fiddle in a concert of traditional Irish music with stepdancers from the Culkin School. McCann, winner of the International IMPAC Dublin Literary Award, the most lucrative literary award in the world, has published 5 novels and numerous short stories and articles. In 2003 McCann was named Esquire Magazine’s “Best and Brightest” young novelist. He has also been awarded a Pushcart Prize, the Rooney Prize, the Irish Novel of the Year Award and the 2002 Ireland Fund of Monaco Princess Grace Memorial Literary Award. He was recently inducted into the Hennessy Hall of Fame. McCann follows other great Irish authors who have come to Howard County including Frank McCourt, Eavan Boland, Hugo Hamilton, Colm Tóibín, Paul Durcan and Paula Meehan to name a few. For years, HoCoPoLitSo’s Irish Evening has recognized and celebrated the enormous impact of Irish-born writers on the world of contemporary literature. For more than 38 years, HoCoPoLitSo has nurtured a love and respect for the contemporary literary arts and global literary heritage in Howard County. The society sponsors live literary readings, produces The Writing Life, a 30 minute -writer-to-writer talk show -, writers-in-residence outreach programs and activities, and partners with other cultural arts organizations to support the arts in Howard County, Maryland. For more information about HoCoPoLitSo and its sponsored programs and activities, visit hocopolitso.org.